[RESOLVED] Logout button not functioning!! Thanks for the quick reply. Still no luck unfortunately. How about using LoginStatus control's OnLoggedOut event to clear your session and do a redirect to login page..
Hi, so here is what my updated code looks like. Not sure if my <script> is in the right place, like I stated earlier my coding skills are primative. Again the problem is persisting. cut the exeisting markup and drop another login control from toolbox may be it will help. I notice that the page has a Default.aspx.cs file. If the script can not be triggered. Try to add the method in code behind. Site developed in VS2010, using Framework 4. I upgraded from a VS 2005, Framework 2. I have a master page with a Navigation Menu set to Horizontal Orientation. When most of the pages on my site are renders, the Nav Menu briefly displays as Vertical before displaying as Horizontal. It ususally takes less than a second, but looks ugly from a user stand point. Anyone else run into (and fix) something like this? Below is all of the code for the Master Page. I can also include the stylesheets if needed. Basically, the master page was designed based off of the default one created when you start a web form project in VS 2010. I modified to add styles and an additional ContentPlaceHolder. I think the problem might be cause by the CSS in your markup. It seems that you have several CSS style in table, td and menu control. I ended up changing to menu to Navigation Buttons and it works without issue. I will try out your suggestion and see if that fixes the original issue. I'll leave the post open for now and will Mark your Answer if that works. I am using URL Routing for display user profiles. I am using master page and child pages. The profile page is a child page and the master page has a login status control. When I login (say user x) through the modal popup which is in the master page itself, i can browse the site with smoothly and reach the routed page. When I log out from the routed page using the login status i get redirected to my home page as required as my login status also is logged out. If i login from this homepage now with another username say y, i get logged in successfully. The problem is that when I again use the routed to get to the routed page, I get the previous user x still logged in. When i come to homepage I see user y logged in. So I have two sessions working; one in the routed page, and other in the whole of the website. using fiddler check the domain and path assigned to the session and authentication ticket cookies (they are separate). if they are wrong due to your url rewriting, then you you will have to override the cookie domains and paths. Can you please enlighten me about how to over-ride the cookie domains and paths? The the login/logout link button is in the master page. So when two users are logged in according to my problem: one in routed page, other in the other pages; If i click logout, the user in the routed page remains logged in whereas the other logged in user is logged out. So the session is stucked in the routed page itself. Thus the problem is related to URL routing at the routed page. This page is kind of maintaining its own session and is not allowing me to log out the user. But the problem remains same. Would you mind posting your web.config so I can see how you have url routing set up? URL Routing causes headers to update, that maybe one of the cause. I don't want to use the stateserver mode. It appears as if the URL Routed child page maintains a different session of its own irrespective of the website. When i logout, the user logs out form the website but remains logged in the routed page. This is to be noted that after logging out when I use the full physical URL to got to the page, the login status shows logged out status, but if i try to reach the same page through the hackable url, then I find the previous user logged in. It redirects you to the login.aspx page. You log in and then you can get to /profile/testx. sense, since I don't see any criteria that would prevent user testy the /profile/testx folder. This user is allowed by forms authentication to see the site - I don't see any restriction to any user folder. For example, if you log in with user testx, DON'T log out, can you browse to user testy stuff? Please consider the usage here. The user profile page can be viewed anonymously by anyone. Anyone browsing the website can view any users's profile (/profile/testx) irrespective of whether one is logged in or not. The only option one gets while he/she is logged in is that when the respective logged in user visits his/her own page (/profile/testx) then there are certain administrative option/setting which the logged in user is allowed to perform with only his/her profile page. 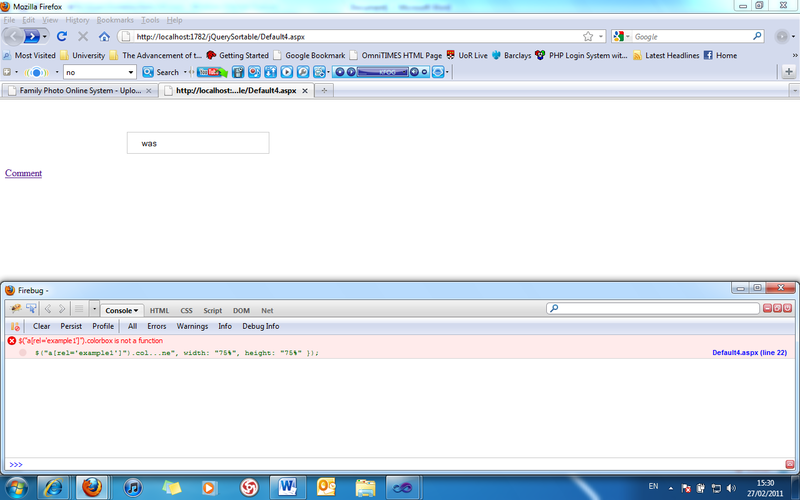 The routed page (/profile/testx) maintains its own session user which does not log out irrespective of the whole site. Lets say a user visits the homepage of the website and clicks login in link which is in the masterpage. A modalpopup appears and user signs in. The user testx is now logged in and the homepage is the current page which shows the name of testx, as he is logged in. Now the user alters the url (/profile/test123). The users testx is shown the profile page of test123. Now the user again alters the url (/profile/test009). Now the user can see test009's profile page. Now the user again alters page to his won profile (/profile/testx). The user testx is now viewing his own profile page with certain administrative functions because its his profile. Now the user click log out button which is on the masterpage. The user is redirected to homepage and is logged out. The homepage shows not logged in status and if a user clicks log in link, then the modal popup again appears so that a use can sign in. now lets say i did not sing in with modal popup and decided to view the profile of a user again. I alter the url (/profile/test123). The profile page is displayed. But with it, guess what, the login status in this page says logged in ans shows the username logged in to be that of testx, when as a matter of fact, the user testx had already logged out. Not only this the routed pages where testx had visted earlier when he was logged in, continues to save hs session and shows him to be logged in (/profile/test123;/profile/testx;profile/test123). All of them have testx still logged in, when i use url routing to view there pages. But suppose in choose a different profile which testx had not visited say /profile/abc then in this page testx is not logged in, which is good and is required. But the profile pages which testx had viewed while he was logged in still contains his session and he is still logged in, no matter how many times i log him out or in how many ways i log him out. Its is only in this routed page that the user is kept logged in and there is no user logged in any other pages of the site. Now suppose a new user testy logs in thru the home page. Now when he alters the url to view /profile/test009, then on that page he sees the logged in user to be testx when in all other pages testy is logged in. If testy uses url to browse /profile/testx, then the testx is still logged in and the administratice controls for testx is also displayed, when in actual its testy who's logged in. The problem is that the url routing maintains the session of the users testx for all the pages which he has visted thru url routing, irrespective of the fact of whether any other user is logged in ot the website on not. I hope you understood my problem out here. The simple thing i want is to log out the user from the whole website including the url routing path page. If it's something like that, maybe in the logout button event you can set Session("username") to "None". Sometimes there is a lag - Session.Abandon doesn't clear immediately - it just sets the flag, and the session gets cleared when it can (usually pretty quick, but...). I would just display the session values somewhere on every page while your debugging this and see how the value that you are using for your criteria changes. The administrative control are inside a login view control, which has two types of views: Logged in View & Anonymous view. Ad. control are in logged in view. I am using the profile services of asp.net. Session works fine as logout works for all other pages. The problem is related to URL Routing itself, as the session problem occurs only in this page, where a user arrives after url routing occurs. Hi, Sorry no change with the problem. It remains the same. I have noticed another important activity with the routed page. Though the user remains signed in the routed page even after logging out; the next time i route to this page, the user being logged in as is the problem, but if i click refresh button of the browser, then the user is logged out. So basically the logout action in the route url does executed not when i actually logout but after i logout, come to the routed page and then again refresh it. Note: The other pages of the website does not have any problem. Now I am using MapPageRoute instead of Route.Add; The problem exists in localhost but works well in hosting environment. Can anyone advice me where I am going wrong and how i can correct it? Any help would be appreciated. For test purposes I created a page without using the masterpage and used the SearchWebUserControl1. <asp:HyperLink id="commentlink" runat="server" Text="Comment" class="example5"
When I don't use the SearchWebUserControl1 the comment link works fine. If you need more inform please feel free to ask. this row loads jquery 1.3.2 I guess and that conflicts with the other JQuery scripts that you are using, I tried to remove that row and then the autocomplete and Comment links worked. Can you try to remove that part?